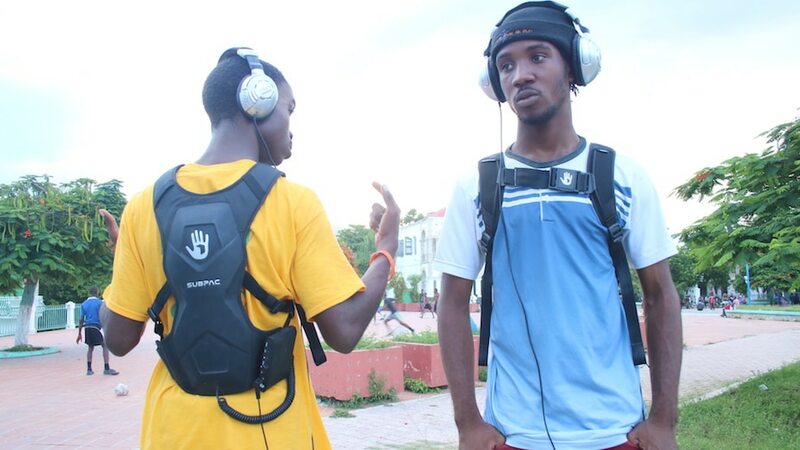 FEEL SUBPAC artist Necatuss (Patrick Soper) went to Jacmel Haiti to Collaborate with the Haitian co-run Jakmel Ekspresyon community arts center in creating a music production program with the goal of self empowerment. 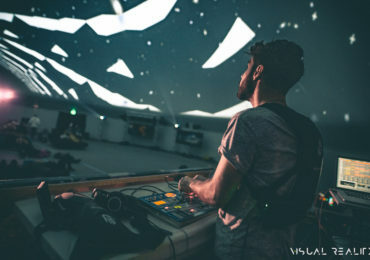 Patrick, a graduate of the esteemed School of the Art Institute of Chicago, spent a month with the students and were given access to music gear, Ableton software, and SUBPACs. 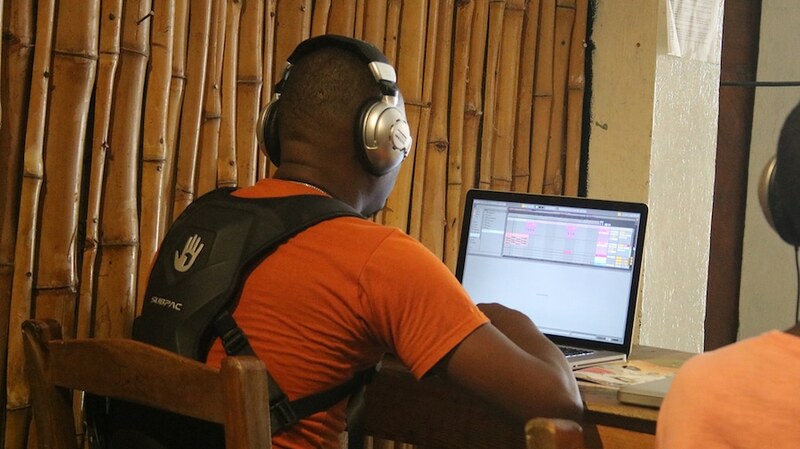 Patrick helped them to learn techniques of recording, editing, mixing, mastering and sound design for them to use alongside the hardware tools provided so they can create their own songs. At the completion of the 4-week class, they were able to create their own songs and learn about new technologies. 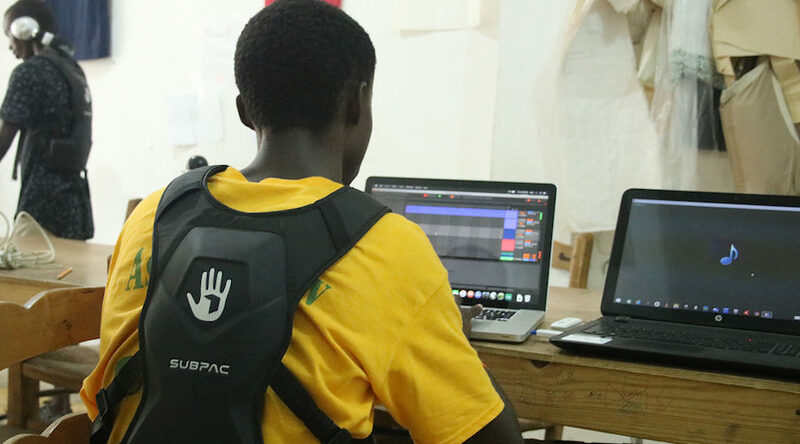 Learning about frequency and sound is an important part of audio mixing and SUBPAC is an excellent tool for understanding low frequencies and how they relate to the frequency spectrum. 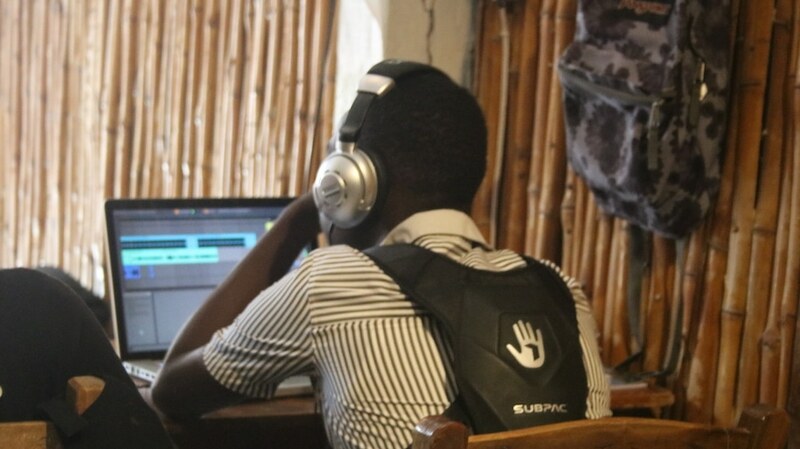 The SUBPAC was also helpful for users to feel the music as they were creating their own tracks. Patrick was up against many challenges as many of the students had never worked with technical equipment and computers and language barriers. There were also other obstacles such as limited electrical power, disease, and riots breaking out. In the end, Patrick was able to overcome these issues and run a successful music production program to help the youth of Haiti. The Jakmel Ekspresyon Community Center was founded in May 2010 after the earthquake. 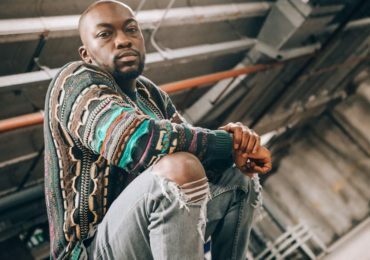 Eight Haitian and American artists came together to discuss the needs of their community in the wake of the earthquake. They recognized the rampant discrimination of many marginalized people and believed that every person has the ability to create change through the beauty of art. The Center has programs for music, fashion design, screen printing and workshops in dance, drumming, painting drawing, mental health, computer skills, robotics, photography, and theater. The Jakmel Ekspresyon center provides local artists with space and facilities in a non-discriminatory environment. 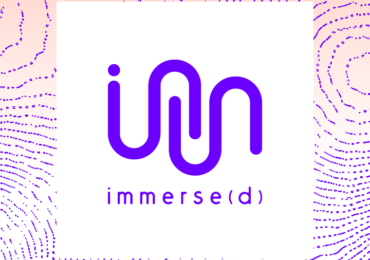 The center provides skills and resources to empower self-change and entrepreneurial spirit to local and international artists.